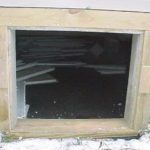 Many people do a great job of installing and upkeeping their skirting but fail to plan for a simple access to get underneath their home. Take it from me, makeshift doors are frustrating. If those access doors don’t open because they are jammed, frozen, hinged, non-existent or whatever, they are costing you the homeowner money, especially if you’re paying a service person to do a repair and he’s adding time because he can’t get underneath your home. Plus if the only water shut-off to your home is underneath and you have a broken pipe, fast access is essential in preventing hundreds if not thousands of dollars in water damage. The good news is that a tough reliable door is easy to build and simple to install. 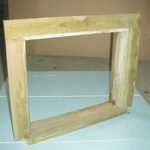 The door shown in this article will work with any type of skirting. By building a screen, this door would also double as a vent. If you are only installing one skirting door, it should be positioned closest to your main water shut-off. Be sure the door isn’t located directly in front of a pipe, anchor strap or any other obstruction that would hinder getting through the door. If you intend for these doors to also act as skirting vents, then locating one door in each corner would work really well for airflow. 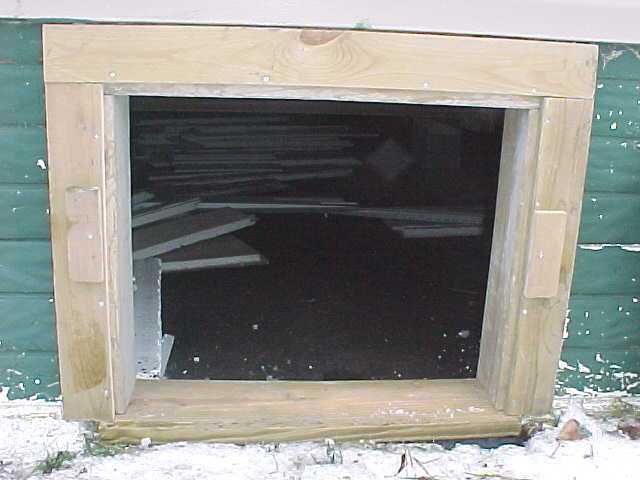 When building this access door, use all treated boards and plywood. Treated wood, available at most any lumberyard, is weather resistant and will add years of life to your door. 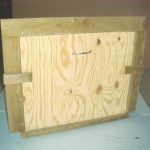 Any nails and screws used should also be suitable for use in treated lumber. Start by measuring the opening of your door. Width is not as important as height. Height should be from the ground to the bottom of the home. Width should be at least 2 feet. Build your door to these measurements. 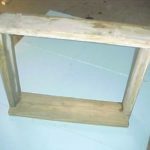 First, construct the frame. 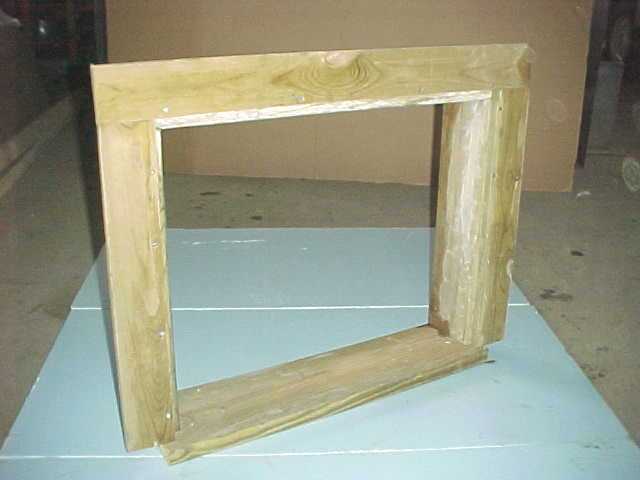 The bottom of the frame consists of a 2×8, while 2×6’s are used on the other three sides. Then 1×4’s are nailed along the top and sides. Leave a 3/4″ reveal when nailing the 1×4’s to the frame. Measure the opening and cut a door panel to fit. 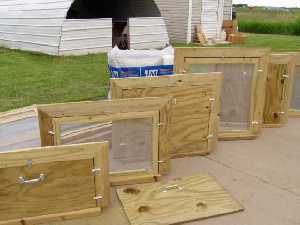 3/4″ or 5/8″ treated plywood should be used for the door panel. The panel should fit without sticking. Add a handle to the panel for ease of use. Instead of a solid door, a screen could be built. 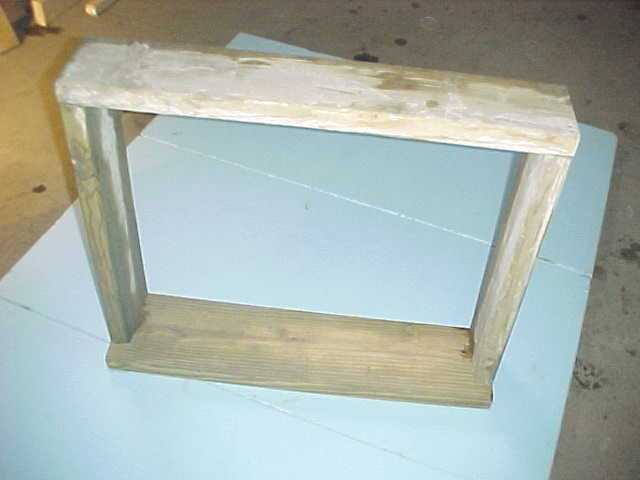 Simply construct a frame the size of the opening and cover it with screen available at any home improvement store. The door is held closed by a turning latch on each side. These are made from treated 1×4 scraps cut to about 2″ wide x 5″ long. Drill a hole through the latch that’s bigger than the screw. Screw the latch to the 1×4, positioning it so when turned vertical it won’t interfere with removal of the door. Don’t overtighten the screw or it won’t turn freely. Cut the opening in the skirting if you haven’t already. Set the door in the opening. 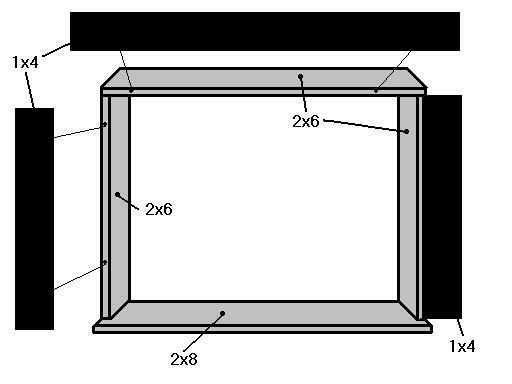 The 1×4’s should cover any rough skirting edges. 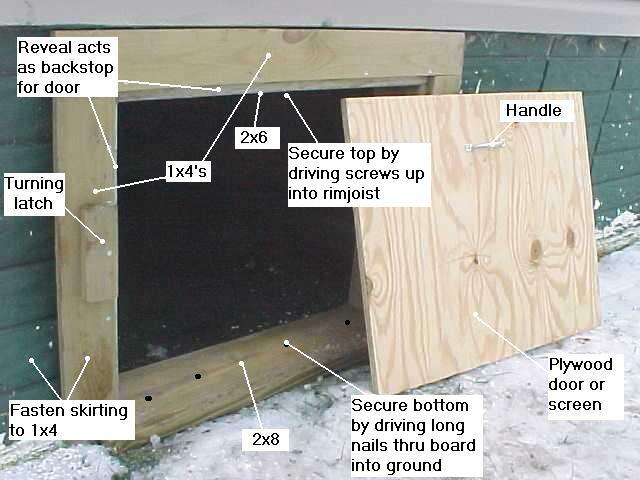 Secure the door to the ground by driving long nails or spikes through the bottom board. Predrill your holes first. 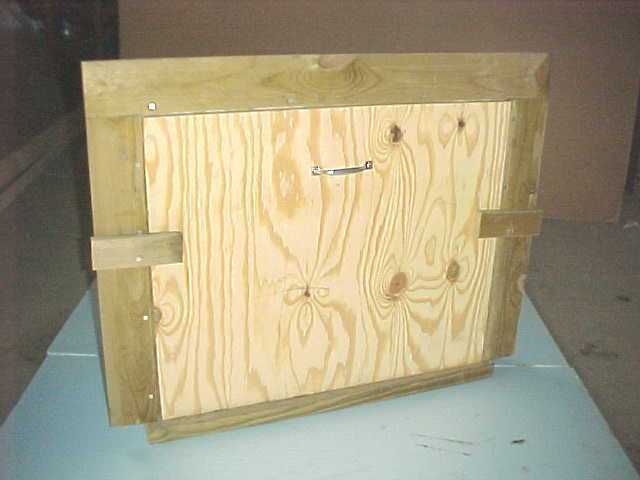 To secure the top, drive 3-4″ screws through the top board into the rim joist of the home. Finally, fasten the skirting to the 1×4’s. Hinges have no place on a skirting door. 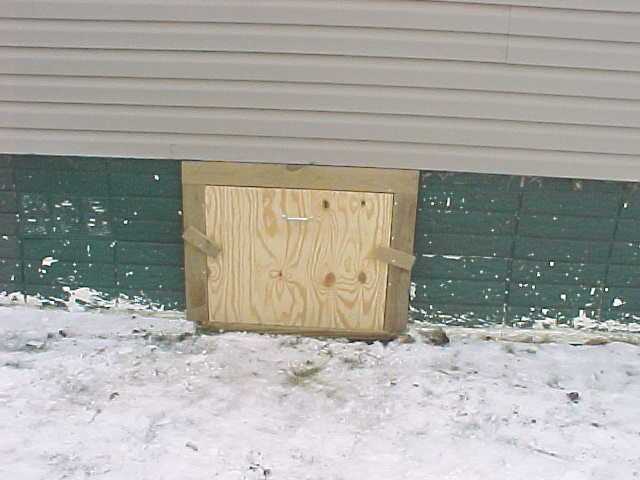 The door sets low to the ground, so ice, snow, and even landscaping will soon cause grief to opening a hinged door. Hinges on top are also annoying. Just leave the hinges off and remove the door by turning two latches and lifting out with the handle.